Note: This review contains images and video using the 2017 model. The 2019 F85 model maintains the same specs. The difference between the two models is the organization of the console. However, the programs, motor, and other integral components of the F85 are all the same as the 2017 model. The only functional difference between these two versions of the F85 is the added USB port to the 2019 model. 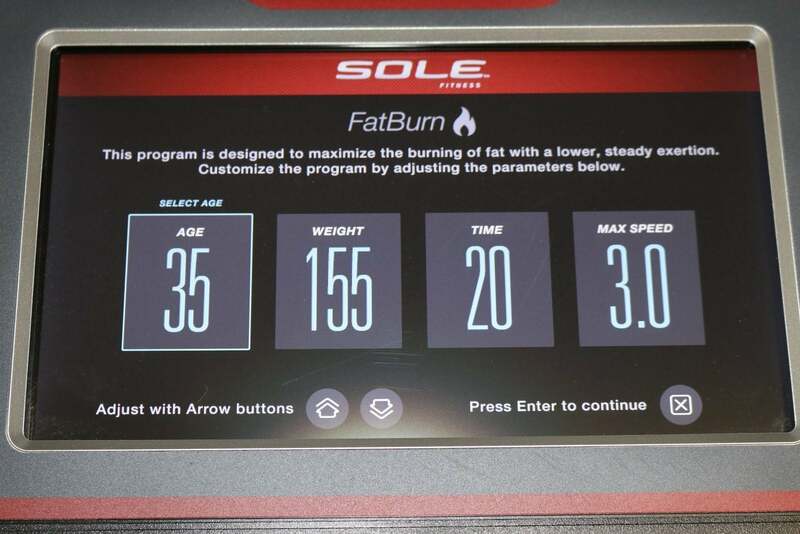 The SOLE F85 is a light commercial treadmill with many quality features. It has a sturdy frame and large 4.0 CHP motor. The programs on the F85 are limited by the simple interface but that may not bother users not interested in pre-made programs. Overall, we recommend the F85 as a good option for those looking for a heavy-duty treadmill. The F85 is priced at $1,999. Have a range of abilities - The F85 can cater to a range of users. With a 4.0 motor and the ability to incline up to 15%, the F85 appeals to casual users as well as those using the treadmill as a training supplement. 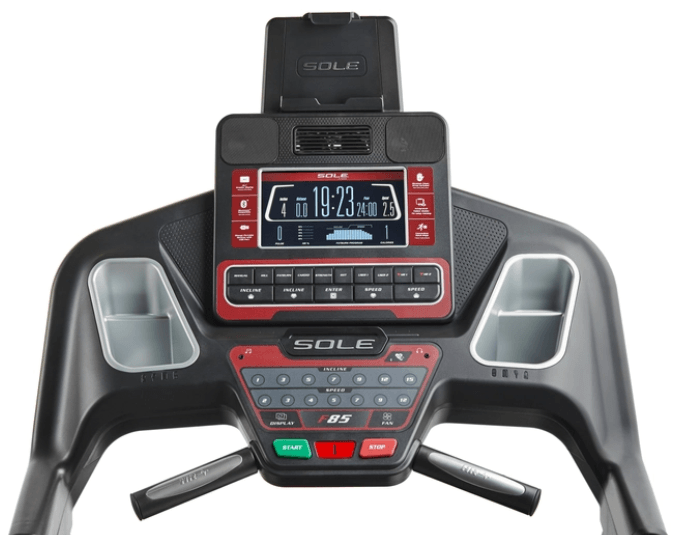 Want a simple interface - While other treadmills in this price range are upgraded with touchscreens, the F85 console remains simple. For users looking for a straightforward treadmill, the F85 is a good option. Need durability - Like many SOLE treadmills, the F85 is a heavy-duty treadmill. With a strong and heavy metal frame, the F85 has a high weight capacity and can hold up under heavy usage. The F85 is a quality machine with many good features to recommend it to potential buyers. Appeals to beginners and advanced users - The F85 can reach up to 12 MPH, which is a highly challenging speed for runners to keep up with for more than a short period of time. It also has the ability to reach 15% incline to allow users to keep their bodies engaged in their workouts. Flexible deck for users looking for cushioning - While mimicking the firmness of asphalt, the F85 has SOLE’s Whisper Flex Cushioning. It creates a cushioned surface for runners while not sacrificing overall firmness. Overall, the F85 should appeal to a specific set of users, with the ability to work for most users in general. Motor Size - The motor in this treadmill is a 4.0 CHP. It is a strong motor which is light commercial quality. With a light commercial quality motor, it is up to daily use by multiple users, which is perfect for a family and/or serious runners. It is also stronger than other treadmill motors in its price range, like the Elite T9 which has a 2.75 CHP motor. The F85 motor is slightly smaller than the X11i motor (4.25 CHP), which is likely due to the fact that the F85 doesn’t have the incline range the X11i has available. Running Area - The running surface is 22” by 60”. With the 2 extra inches of width, treadmill users can swing their arms freely while utilizing the machine. The F85 is equal in running area with the X11i and both of these treadmills is 2” larger in width than the Elite T9. 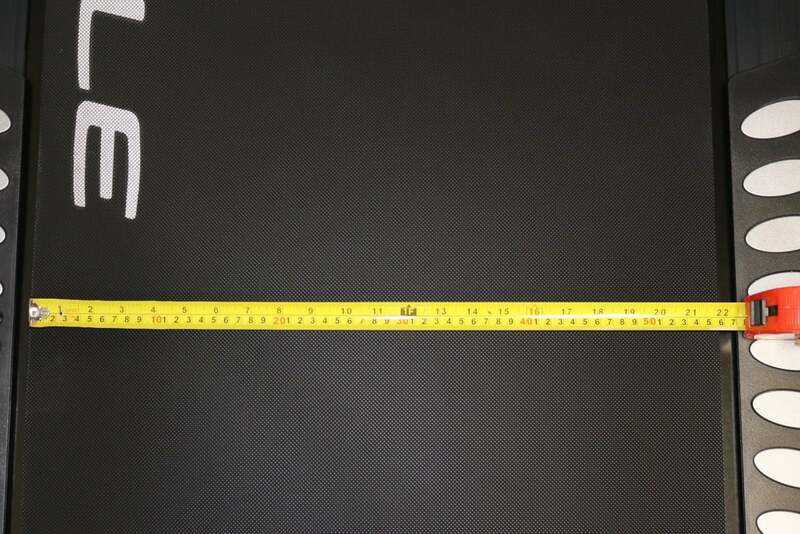 However, our measurements show that the width of the F85 is a bit shy of 22”. Weight Capacity - The F85 has a weight capacity of 400 lbs. 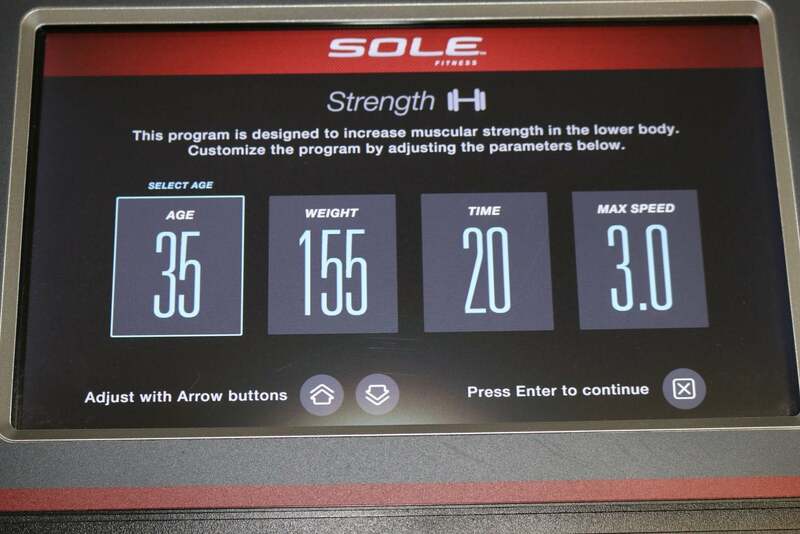 SOLE treadmills generally can hold more weight than other treadmills in their price ranges. The X11i can only hold up to 300 lbs and the Elite T9 can hold 350 lbs. The high weight capacity of the F85 is due to the heavy-duty construction of SOLE treadmills. Folding - While the F85 can fold up, it is not a very compact machine. Space / Footprint - The F85 measures 37” in width, 83” in length, and 57” in height. It may not be the right treadmill for a small apartment or workout space. It is also a very heavy treadmill, weighing 301 lbs. We recommend users have a dedicated space for the F85 and only move it with the help of two people. Max Speed - The treadmills max speed is 12 MPH which is the industry standard for treadmills in this price range. 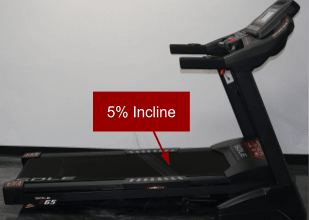 Incline - This treadmill has an incline range of 0% to 15%. The Elite T9 has the same incline range as the F85. 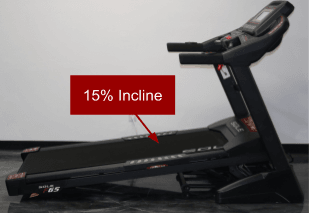 If users want a greater incline range while paying the same price for a treadmill, the X11i is a good option. The X11i can reach a -6% decline and up to a 40% incline. Workout Apps - The F85 only has 10 workout apps. They are a mix of distance, heart rate and speed programs with 2 customizable programs. This may appeal to users who don’t need all the bells and whistles when it comes to a treadmill. For users looking for treadmills with more workout programs, the Elite T9 and X11i have 44 workout programs. Manual Program - Input your age, weight, and how long you want to workout to use the manual workout program. Hill Program - This program focuses on hill training. Input your age, weight, desired duration of workout, and the max speed you want for the hill workout. 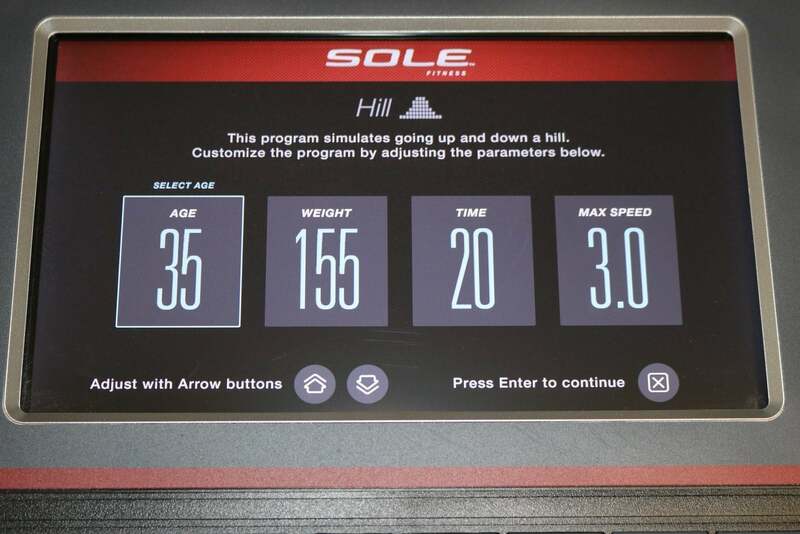 The program will then generate a hill program from your personal parameters. Fat Burn Program - This program focuses on fat-burning. Input your age, weight, desired duration of workout, and the max speed you want for the fat-burning workout. The program will then generate a fat-burning program from your personal parameters. Cardio Program - This program focuses on cardio. 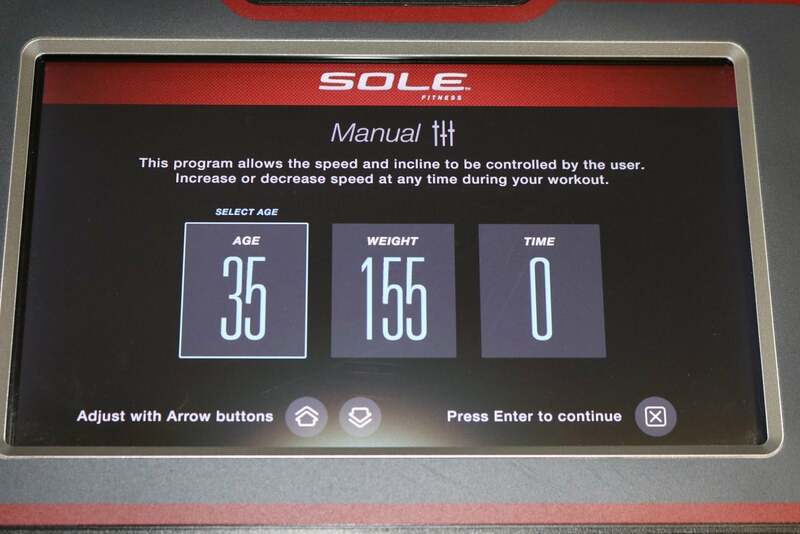 Input your age, weight, desired duration of workout, and the max speed you want for the cardio workout. The program will then generate a cardio program from your personal parameters. Strength Program - This program focuses on strength training. Input your age, weight, desired duration of workout, and the max speed you want for the strength workout. The program will then generate a strength program from your personal parameters. Interval Program - This program focuses on interval training. 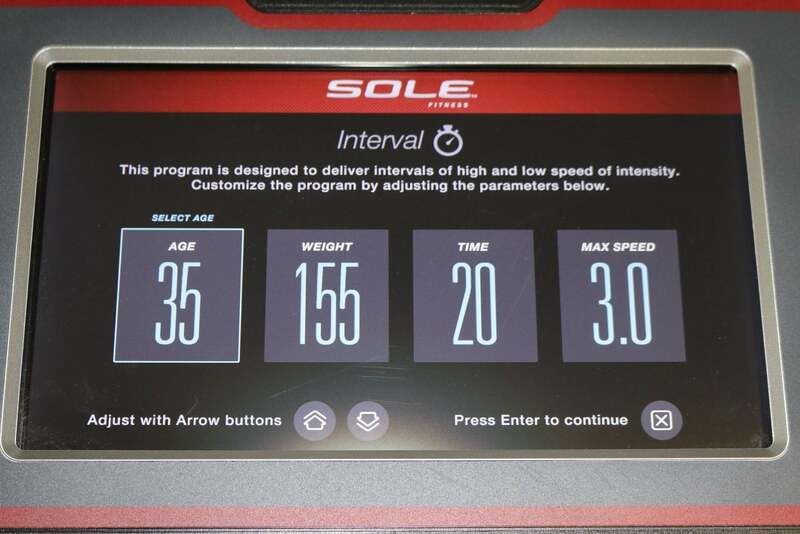 Input your age, weight, desired duration of workout, and the max speed you want for the interval workout. The program will then generate an interval program from your personal parameters. User Programs - There are two user programs available on the F85. These two programs can store two different users’ data so you don’t have to input your information every time you want to workout. Display - A 10.1” TFT LCD is mounted in the F85 console. The main body of the screen is a dark blue-black, with white lettering contrasting strongly with the backdrop. 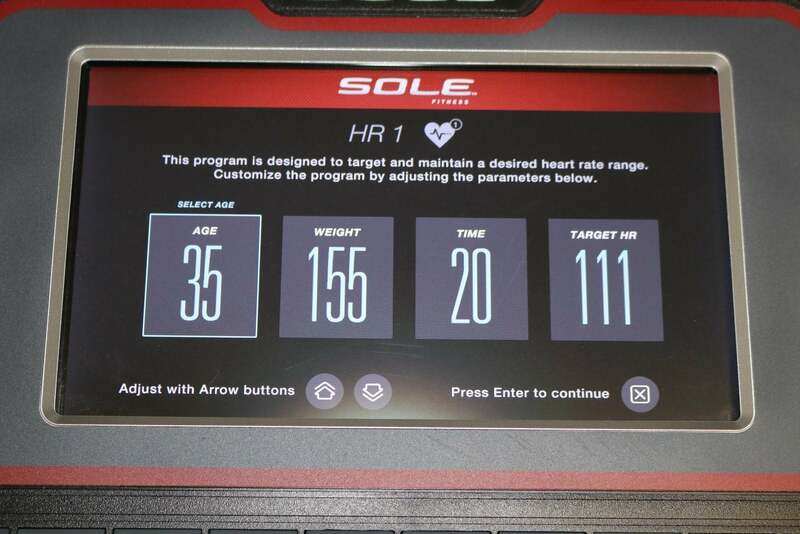 The F85 displays workout information such as speed, pace, heart rate, calorie burn, and more. Speakers - The speakers of the F85 are located above the water bottle holders on either side of the treadmill console. Sound quality is fairly crisp until the volume is turned up to beyond the midway point. The sound deteriorates slightly but not too noticeably. Fans - There is a single fan located at the top of the F85 treadmill console. The fan only has one speed, which can make it less effective at cooling users. It is able to be angled up or down depending on the needs of the user. Heart Rate Monitoring - The F85 doesn’t rely exclusively on its EKG handlebar grips. It also comes with a free Polar heart rate monitoring chest strap. We recommend users use the chest strap if they want to monitor their heart rate as it is much more accurate than the handlebars. 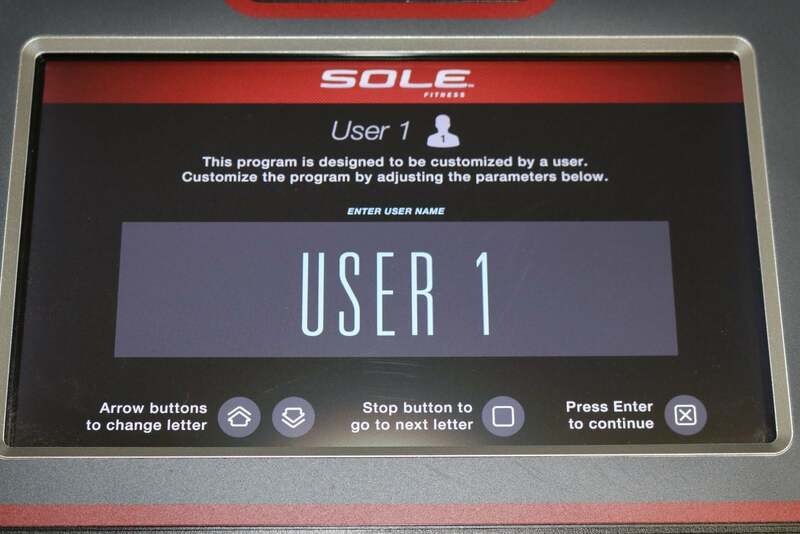 SOLE Fitness App - With the SOLE Fitness app, users can control their bluetooth-enabled SOLE equipment like the F85. Our testers have found when using the app it is easier to create and control the custom programs available on the F85. 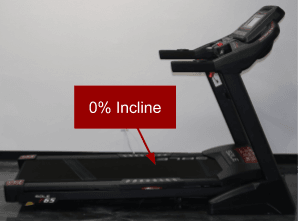 Device holders - There are two water bottle holders on either side of the treadmill console and a device holder located below the console. 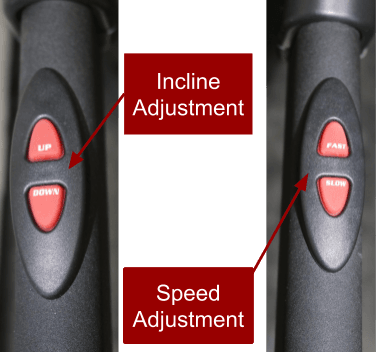 Speed/Incline arm buttons - For quick, easy speed and incline adjustments, there are buttons located on the console arms of the treadmill. Warranties - Lifetime frame, motor, and deck, 5 years parts and electronics, 2 years labor. The F85 is a heavy-duty machine. Its sturdy metal frame can hold up to 400 lbs and based on our tests, it likely can. None of our testers weigh more than 220 lbs but even when our heaviest tester ran on the F85, it stayed stable and did not bounce. You can still fold up this heavy treadmill. 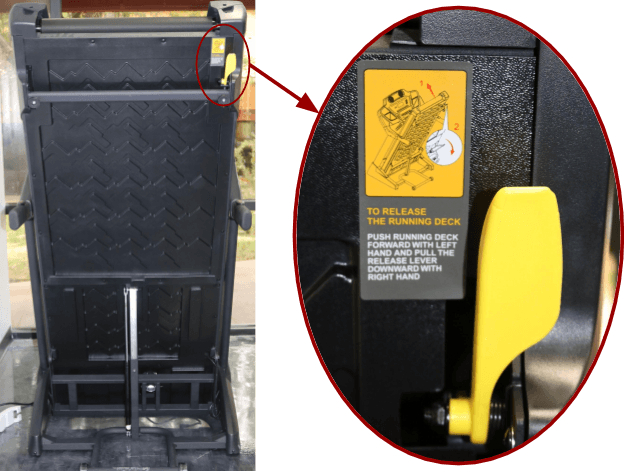 While you will likely need both hands to lift the deck up, the hydraulics system makes releasing the deck easy. 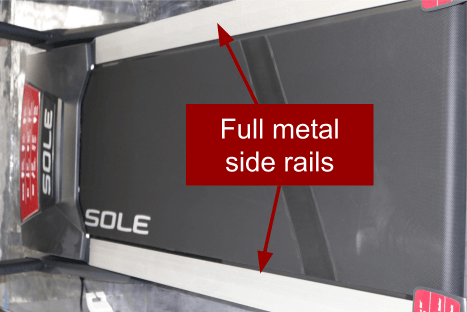 With full metal side rails, users can feel comfortable standing on these railings. It is an improvement over the partial metal railing SOLE has been constructing their treadmills with. The F85 is a sturdy machine which is a good option for certain users. Heavier users can use the F85 in comfort as it has the weight capacity up to 400 lbs. 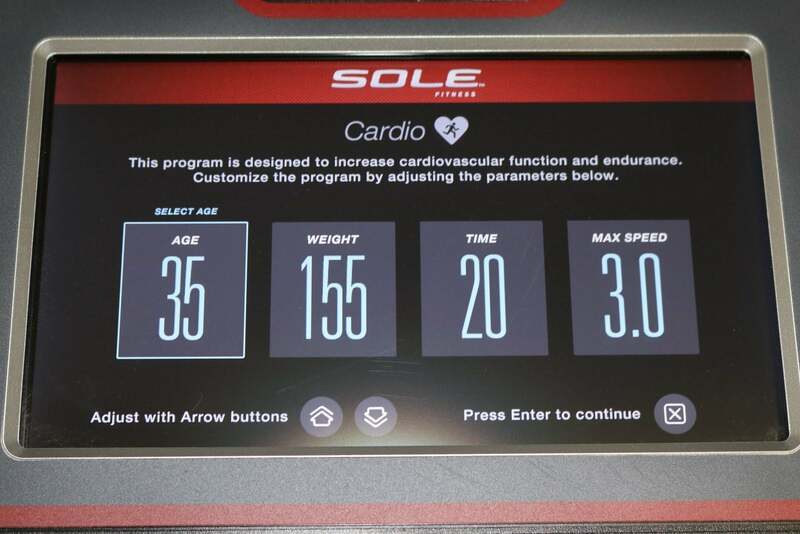 While the simple interface can be a positive for some users, the fact that most SOLE treadmills have the same 10 workout programs can be a negative point. Overall, the F85 is a good treadmill as well as a decent option for many users. For the best prices and customer service, potential owners should purchase the F85 from the manufacturers.